For the Royal Marines equivalent, see Corps Regimental Sergeant Major. 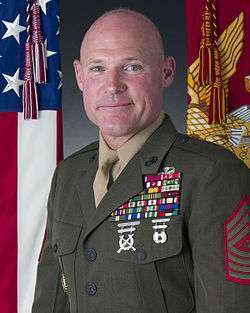 Sergeant Major of the Marine Corps (officially abbreviated to SgtMajMC; unofficially as SMMC) is a unique non-commissioned rank and billet in the United States Marine Corps. 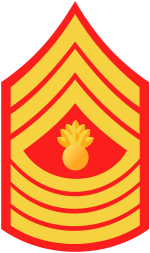 In the U.S. Marine Corps, sergeant major is the ninth and highest enlisted rank, just above first sergeant, and equal in grade to master gunnery sergeant, although the two have different responsibilities. A sergeant major typically serves as the unit commander's senior enlisted adviser and to handle matters of discipline and morale among the enlisted Marines. The Sergeant Major of the Marine Corps is chosen by the Commandant of the Marine Corps to serve as his adviser and is the preeminent and highest ranking enlisted Marine with a protocol equivalency of a lieutenant general. 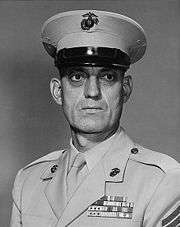 The post of Sergeant Major of the Marine Corps was established in 1957 as the Senior Enlisted Advisor to the Commandant of the Marine Corps, the first such post in any of the five branches of the United States Armed Forces. 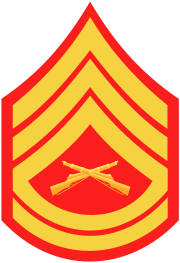 In 1970, the rank insignia of the Sergeant Major of the Marine Corps was authorized (which features three stripes, the Eagle, Globe, and Anchor flanked by two five-point stars in the center, and four rockers) as opposed to the standard Sergeant Major rank insignia (which features three stripes, one five-point star in the center, and four rockers), which was used for the rank from the post's creation in 1957 to 1970. While "Sergeant Major of the Marine Corps" is the full wording of the rank, the verbal address for this is commonly Sergeant Major. The Sergeant Major of the Marine Corps is selected by the Commandant of the Marine Corps and typically serves a four-year term, though his service is at the discretion of the Commandant. Since Sergeant Major Wilbur Bestwick was appointed the first Sergeant Major of the Marine Corps in 1957, 17 different Marines have filled this post. 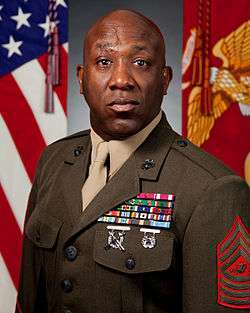 "The Official Web Site of the Sergeant Major of the Marine Corps". 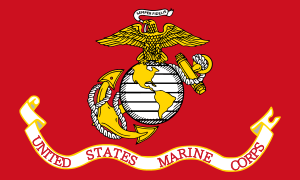 United States Marine Corps. Retrieved 2014-07-19. 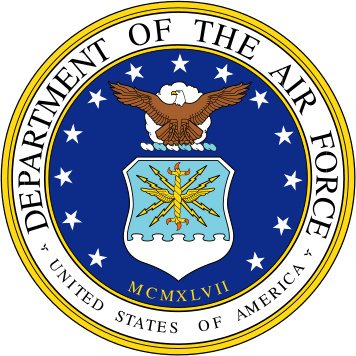 ↑ "MCO P1070-12K (IRAM)" (PDF). United States Marine Corps. Retrieved 2008-10-03. ↑ "ALMAR 016/09: 2009 Sergeants Major Symposium". United States Marine Corps. 2009-05-13. Retrieved 22 December 2009. 1 2 "Sergeant Major of the Marine Corps". hqmc.marines.mil. Retrieved 2013-07-06. 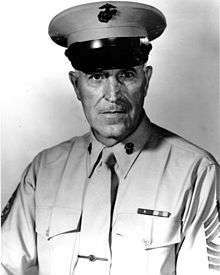 1 2 Estrada, John L. "Sergeant Major of the Marine Corps". 15smmc.com. Retrieved 2009-06-22. ↑ "Previous SMMC". hqmc.marines.mil. Retrieved 2013-07-06. ↑ "NEXT SERGEANT MAJOR OF THE MARINE CORPS ANNOUNCED". January 20, 2015. Retrieved January 20, 2015. ↑ "Sergeant Major Wilbur Bestwick, USMC (Deceased)". Who's Who in Marine Corps History. Marine Corps Historical Division. Retrieved 2009-06-22. 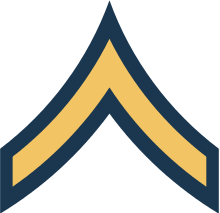 ↑ "Sergeant Major Francis Drury Rauber, USMC (Deceased)". Who's Who in Marine Corps History. Marine Corps Historical Division. Retrieved 2009-06-22. 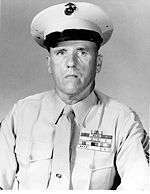 ↑ "Sergeant Major Thomas J. McHugh, USMC (Deceased)". Who's Who in Marine Corps History. Marine Corps Historical Division. Retrieved 2009-06-22. ↑ "Sergeant Major Herbert J. Sweet, USMC (Deceased)". Who's Who in Marine Corps History. Marine Corps Historical Division. Retrieved 2009-06-22. 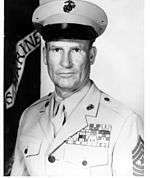 ↑ "Sergeant Major Joseph W. Dailey, USMC (Deceased)". 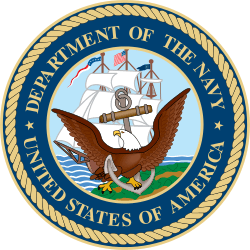 Who's Who in Marine Corps History. Marine Corps Historical Division. Retrieved 2009-06-22. 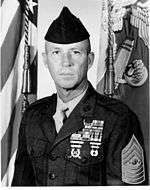 ↑ "Sergeant Major Clinton A. Puckett, USMC (Deceased)". Who's Who in Marine Corps History. Marine Corps Historical Division. Retrieved 2009-06-22. 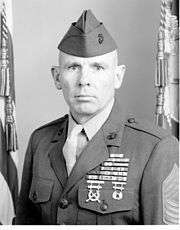 ↑ "Sergeant Major Henry H. Black, USMC (Retired)". Who's Who in Marine Corps History. Marine Corps Historical Division. Retrieved 2009-06-22. 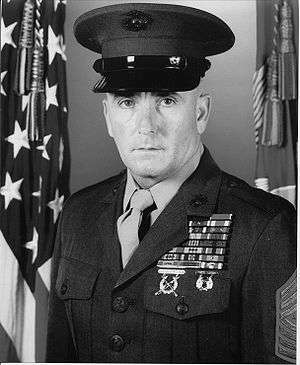 ↑ "Sergeant Major John R. Massaro, USMC (Retired)". Who's Who in Marine Corps History. Marine Corps Historical Division. Retrieved 2009-06-22. 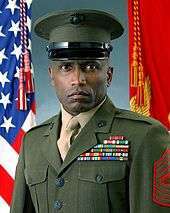 ↑ "Sergeant Major Leland D. Crawford, USMC (Deceased)". Who's Who in Marine Corps History. Marine Corps Historical Division. Retrieved 2009-06-22. 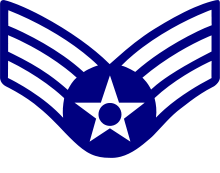 ↑ "Sergeant Major Robert E. Cleary, USMC (Retired)". Who's Who in Marine Corps History. Marine Corps Historical Division. Retrieved 2009-06-22. ↑ "Sergeant Major David W. Sommers, USMC (Retired)". Who's Who in Marine Corps History. Marine Corps Historical Division. Retrieved 2009-06-22. 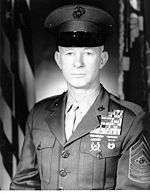 ↑ "Sergeant Major Harold G. Overstreet, USMC (Retired)". Who's Who in Marine Corps History. Marine Corps Historical Division. Retrieved 2009-06-22. 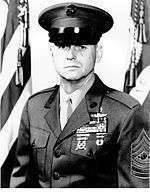 ↑ "Sergeant Major Lewis G. Lee, USMC (Retired)". Who's Who in Marine Corps History. 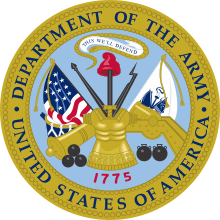 Marine Corps Historical Division. Retrieved 2009-06-22. 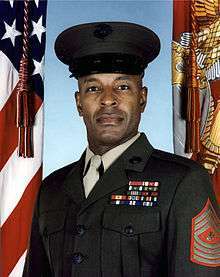 ↑ "Sergeant Major Alford L. McMichael, USMC (Retired)". Who's Who in Marine Corps History. Marine Corps Historical Division. Retrieved 2009-06-22. 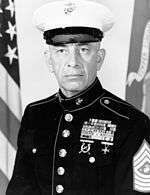 ↑ "Sergeant Major John L. Estrada, USMC (Retired)". Who's Who in Marine Corps History. Marine Corps Historical Division. Retrieved 2009-06-22. ↑ "Sergeant Major Carlton W. Kent, USMC". Who's Who in Marine Corps History. Marine Corps Historical Division. Retrieved 2009-06-22. ↑ "Sergeant Major Michael P. Barrett, USMC". Who's Who in Marine Corps History. Marine Corps Historical Division. Retrieved 2015-02-21. 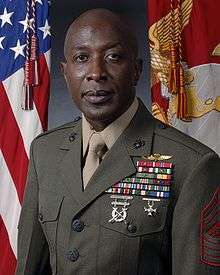 ↑ "Sergeant Major Ronald L. Green, USMC". Who's Who in Marine Corps History. Marine Corps Historical Division. Retrieved 2015-02-21.